Steeped in history and tradition and exuding exceptional beauty, jewelry from Italy is highly prized. Which in turn, typically makes it highly priced— especially if gold is involved. As a Stauer customer you are part of our golden circle and privy to enjoying amazing value on handcrafted Italian gold jewelry. The 14K Italian Gold Cerchio Earrings is the perfect way to take advantage of your inside pass to affording the extraordinary. Modern Italian designer jewelry draws from traditions in fine craftsmanship that dates back centuries. For this collection we sought out our artisans in Arezzo–– a Renaissance village in the heart of Tuscany’s rolling hills that is renowned for creating some of the most beautiful precious metal chains in the world. 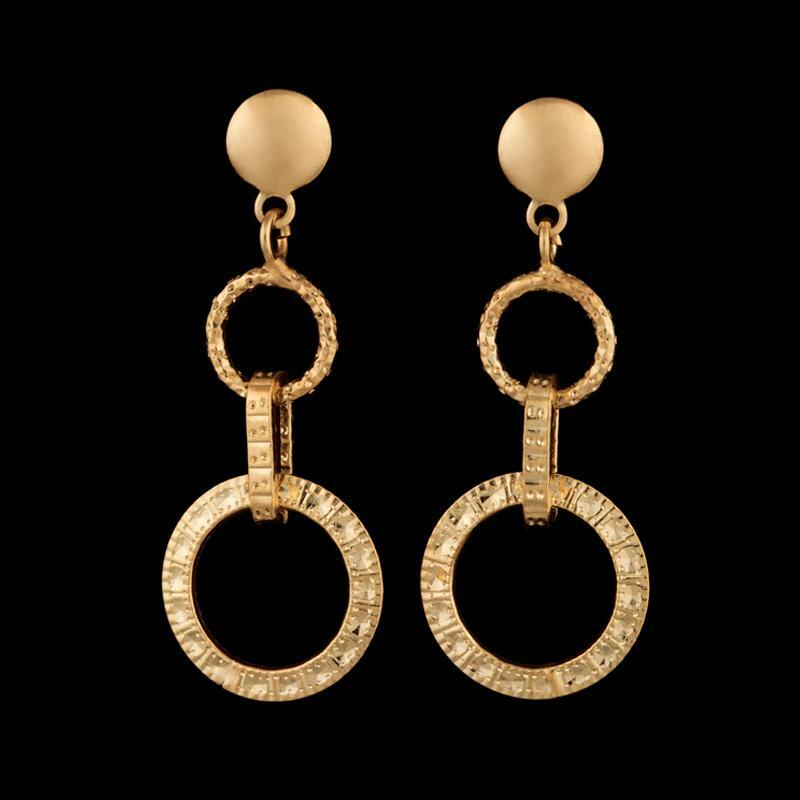 The Cerchio Earrings is a stunning example of the unsurpassed metalworking expertise of Pietro Ferrini and Rodolfo Grotti. Combining age-old Etruscan metalsmith techniques with innovative design, they’ve released all the magic of gold in pieces featuring a circular link design that exudes refined elegance. Treat the one you love to the luxury of Italian gold without mistreating your wallet. Use your Stauer power and go for the gold.